Bring a friend & a bottle of wine! 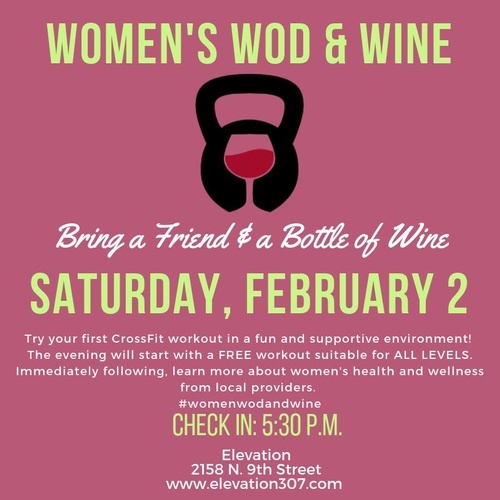 Try your first CrossFit workout in a fun and suportive environment! The evening will start with a FREE workout suitable for ALL LEVELS. Immediately following, learn more about women's health and wellness from local providers.